New & Improved Comfort Footbed. 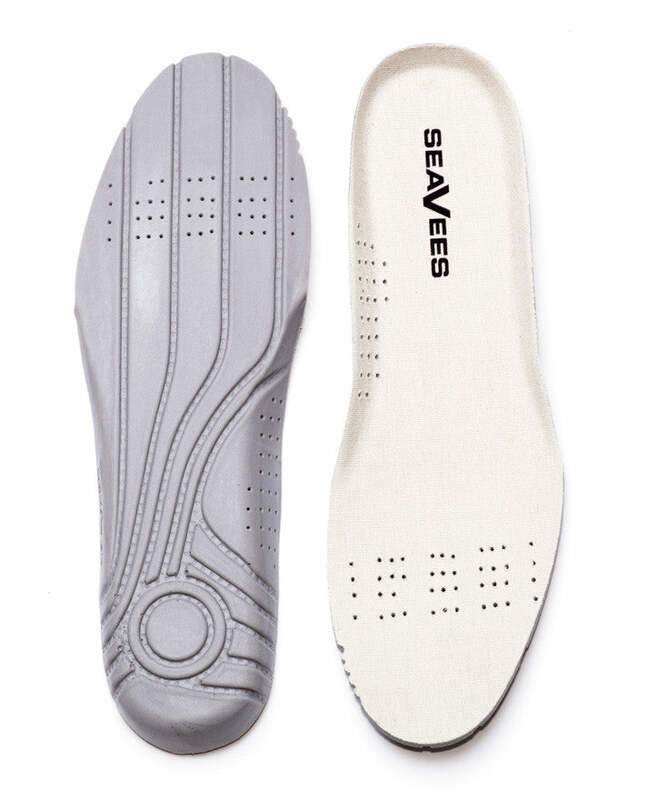 SeaVees' perforated contoured footbed is an interchangeable insole lined in soft washed cotton canvas. The custom design features tiny holes that provide 30% more airflow and greater breathability for all day comfort. Our insoles are supportive and can be removed and replaced with an orthotic if need be. Replacement insoles will soon be available for purchase in our online store. Get a pair today from our Mens and Womens Fall 2015 Collection.